I undertook my undergraduate study at Durham University between 2012 and 2015, followed by my masters during 2015 to 2016. I am currently researching my PhD which commenced in October 2016. My archaeological interests lie with the hunter-gatherers of Mesolithic and Palaeolithic. There are several aspects of the hunter-gatherer’s that interest me, not least their relationship with the environment. Prior to, and during my period at Durham, I have participated in geophysical surveys at Bannaventa (2011), Stanwick (2014) and the excavation at Binchester Roman Fort (2013). I have also undertaken a placement in the optical stimulated luminescence (OSL) dating laboratory (2014). Resource Exploitation and Localised Environmental Change in the Mesolithic of Atlantic Europe. In contrast to the Americas, Asia, Africa, and Australia, temperate Europe ‘lost’ its hunter-gatherers early in its past, around or shortly after 6,000 years ago. As Europeans, we therefore lack the ethnographic and historical links to our hunter-gathering past enjoyed by other regions. Given It is generally accepted that the Neolithic cultural phenomenon and practice of agropastoral systems spread throughout Europe with a westerly and north westerly trajectory, it is likely that the final refugia for hunter-gatherers existed at the periphery of the region. Asserted since the late 1990s by palynologists, the Mesolithic occupation of the Outer Hebrides was confirmed by archaeological evidence in 2005. Between 2010 and 2013 a team from Durham University identified several additional Outer Hebridean sites of late to terminal Mesolithic age, including shell-middens. How Mesolithic people exploited the islands, and during which seasons, remains fundamentally unknown. The objective of this project is to establish the subsistence strategies and seasonality of occupation for the Outer Hebridean sites, thus addressing the current shortfall in our knowledge of the extreme north west of the European Mesolithic. This will be established in the context of an understanding of the local environment and local environmental change, therefore highlighting any environmental influences on subsistence during the terminal Mesolithic. The defined approach invokes two different but complementary analytical lines of enquiry. Firstly, the application of conventional zooarchaeological methodologies to the faunal remains of the vertebrate and invertebrate taxa. The second is to identify local environmental fluctuations through the analysis of the isotope and elemental compositions of the biological carbonates present as molluscan shell and fish otoliths. Comparative analysis will be conducted using archaeological, ethnographic and ecological examples to improve our understanding of the later phases of the European Mesolithic, and hunter-gatherer environmental relationships in general. A Scottish Archaeological Research Framework (ScARF) and Society of Antiquaries of Scotland Student/ECR Bursary to attend the Scottish Islands Research Framework for Archaeology (SIRFA) opening symposium. For travel, accommodation and subsistence. 2016 - present: AHRC Northern Bridge Doctoral Scholarship. Evans, M., 2018. A review of: Molluscs in Archaeology edited by Michael J. Allen (2017). Archaeomalacology working group newsletter Issue 29, February 2018. Hrafnhildur Helga Halldórsdóttir, Bryony Rogers, Frank A. DiRenno, Gundula Müldner, Darren R. Gröcke, Ellen Barnicle, Blessing Chidimuro, Malcolm Evans, Ruth Morley, Monica Neff, Cassidy Sharp, Ashleigh Simpson, Andy Boucher, Janet Montgomery, 2019. Continuity and Individuality in Medieval Hereford, England: a stable isotope approach to bulk bone and incremental dentine. Journal of Archaeological Science Reports 23 pp.800-809. 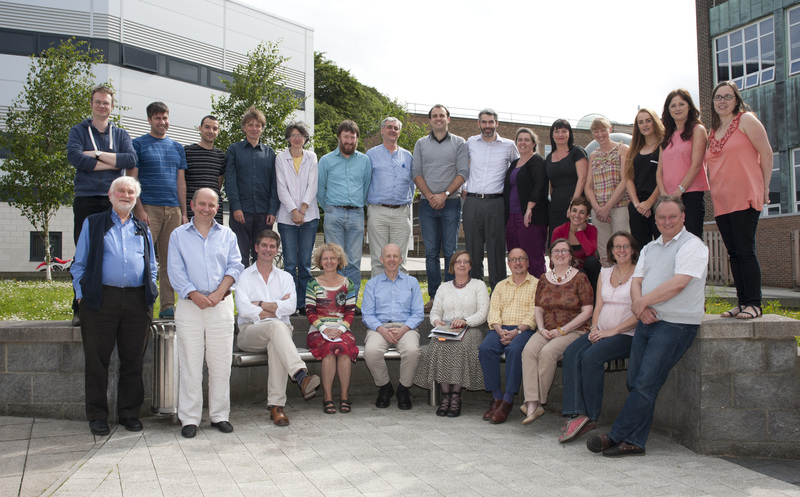 Department of Archaeology: Tutor for the module Scientific Methods in Archaeology 1. Department of Archaeology: Tutor for the module Discovering World Prehistory. Department of Archaeology: Instructor for the module Developing Archaeological Research (Quantitative Methods Component). Foundation Centre: Transition tutor for foundation students starting the first year of their archaeology degree. Presentation to the Antioch House Archaeological Society: A Voyage of Discovery: Revealing the Mesolithic of the Outer Hebrides.